Gary Lutz is a sentence writer from another planet, deploying language with unmatched invention. He is not just an original literary artist, but maybe the only one to so strenuously reject the training wheels limiting American narrative practice. What results are stories nearly too good to read: crushingly sad, odd, and awe-inspiring. Gary Lutz is, simply, one of my favorite writers. I wish I could see through skin the way he can. He tells hard truths in thrilling ways; his startling sentences are often darkly funny, and always exactly right. 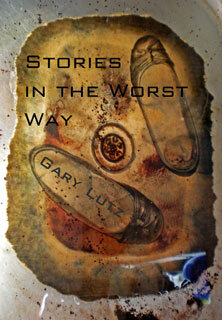 Gary Lutz is one of the rarest and purest of our treasured literary artists. His authentic language conquers any habit of speech. Let the reader prepare for the first known examples of the most crucial and intimate matters of the heart and mind.